Finally, the ability to bring the objects of your imagination into the real world is nearly within reach. The Cube 3D printer is the first commercially available device of its kind that is both affordable and sold ready-made (as opposed to in a user-assembled kit). 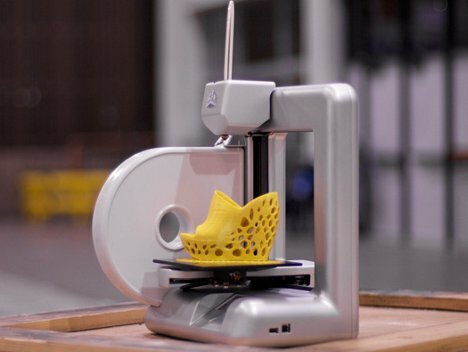 The $1299 (US) 3D printer is able to print in 10 different colors (one at a time), weighs less than nine pounds, and can create objects up to 5.5″ X 5.5″ X 5.5″. But the Cube, as delightful as it may be, is not the whole story. 3D Systems, the company behind the Cube, also recently launched Cubify.com. Cubify is a platform where people without the cash for their own 3D printer can download printable content, modify it, and have the objects printed by Cubify and shipped directly to them. 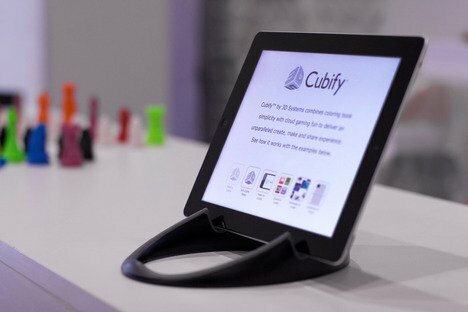 Although the service is not the first in the world to offer custom 3D printing and shipping, the Cubify app lets users modify their chosen products from a mobile device, tablet computer or Kinect. The flexibility is what makes Cubify seem like a fun new idea. Of course, if you do have the dosh to pick up a Cube printer of your own, you’ll be able to print as many of your unique creations as you like, any time the fancy strikes you. See more in Do It Yourself or under Technology. September, 2012.